They’re only three years old and six months old, respectively, but little Milo and Brooks Beard are working on giving back to the community in the area that they have been given the most – blood transfusions. 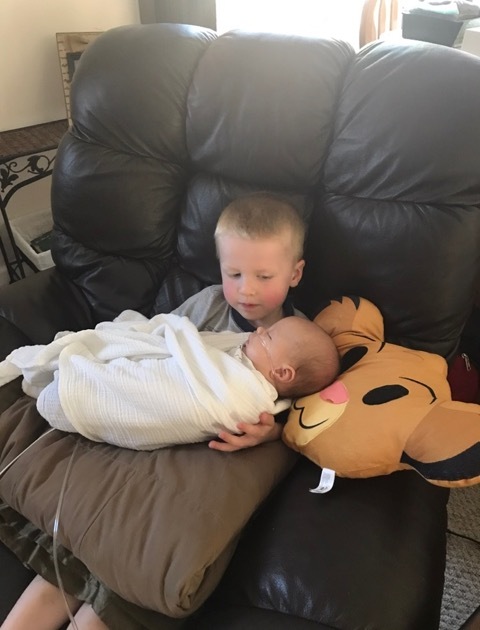 These little guys have seen more of the transfusion world than most seniors, and for that reason, they and their parents want to give back through an area wide blood drive on August 27. 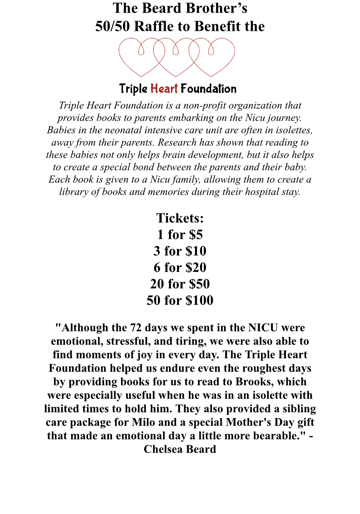 Why is this family spearheading a cause like this one? It has to do with their story. Josh and Chelsea Beard, the proud parents to the two little boys, met in high school while working at Hamilton’s in Jacksonville. After staying connected through college, they were married in 2011. All in all, they were a cute couple with a pretty normal small-town love story. But when Chelsea became pregnant in 2013, their story grew. Twenty-eight weeks into the pregnancy, they learned that Chelsea’s blood was Rh sensitized – creating a dangerous environment for the baby. She and the baby’s blood types were incompatible, and in essence, began to attack each other. Chelsea explained, “My body started producing antibodies and breaking down his red blood cells.” If that type of scenario escalates, there is a great risk of the baby becoming anemic. Doctors couldn’t explain why it had happened to Chelsea, and with that, Chelsea shared, “It was stressful, because I knew that there was nothing I could do about it. I couldn’t exercise more or eat a better diet. I tried to not stress about it as much as I could while getting on top of appointments and follow-up appointments.” If there’s anything at which the Beards became experts, it was balancing an insane amount of doctor appointments. They were immediately sent to a specialist. 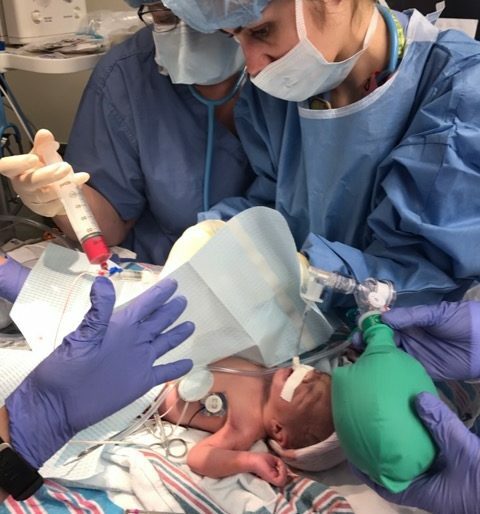 After careful monitoring for several weeks, the doctors decided to deliver the baby a week before the due date, just to be safe. With that, Milo Brooks was born April 3, 2014. Because he was severely jaundiced, and would require several blood transfusions, he spent ten days at the Level 2 nursery in Peoria. It was a bit tough, but the Beards made it, and excitedly brought their first baby home. As they considered their future as parents, they knew the risk – Chelsea’s blood issue would affect any other pregnancy. She shared, “It was tough to decide if we should have a second child.” After carefully seeking medical counsel, they decided to go ahead. Unfortunately, when Chelsea became pregnant a second time, things progressed much more quickly. 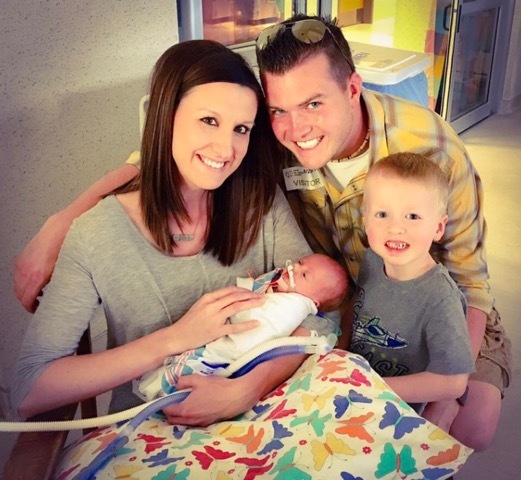 They began seeing a specialist from eight weeks on in her pregnancy. Their concern grew as they began to see signs of anemia early on. 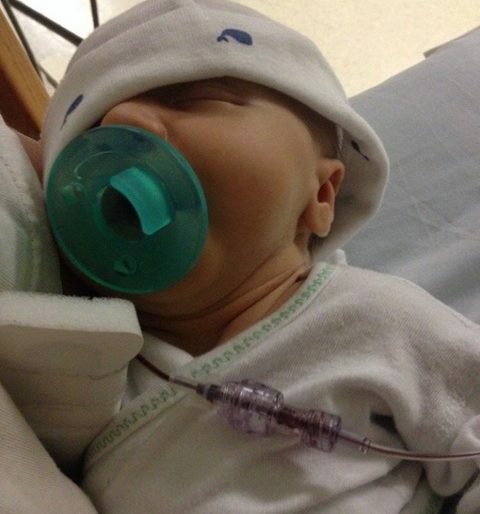 Going to Barnes-Jewish Hospital in St. Louis, they procured five blood transfusions for their baby during the pregnancy. 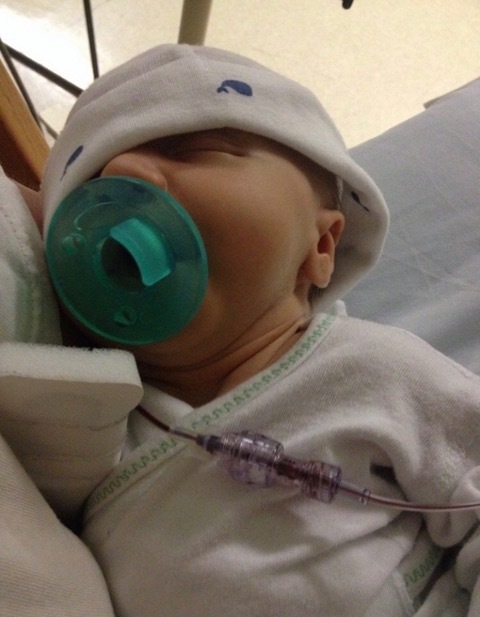 When they went down for the fifth transfusion at 32 weeks, the baby’s heart rate began to drop during the transfusion. After a crisis moment, and shifting into fast decision-making mode, the doctors decided to deliver the baby that day. So on March 27, 2017, little Brooks Beard came into the world – already a veteran of five blood transfusions. 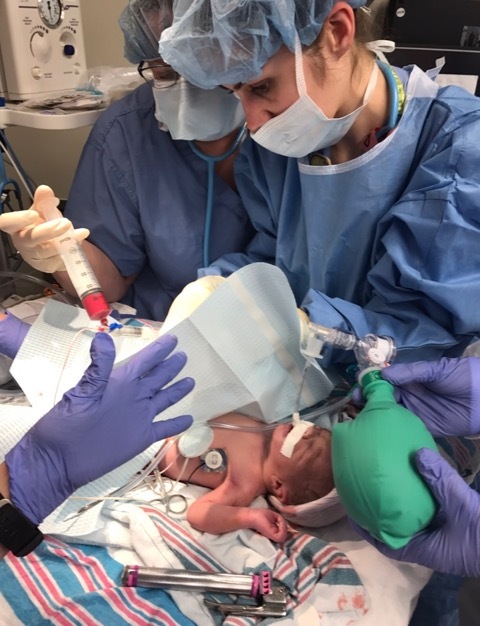 Six more blood transfusions for the little guy followed as he was transferred into the St. Louis Children’s Hospital for 12 days, and then to the NICU at St. John’s Hospital in Springfield. 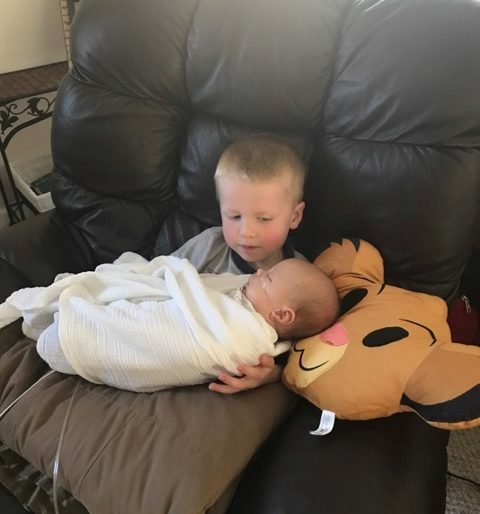 After over two months in the NICU, little Brooks was brought home on oxygen to two weary, but relieved parents, and a proud older brother – Milo. Lots of follow-up appointments kept the Beards busy for the weeks that followed, but they were grateful to have both their sons at home, and relatively healthy. 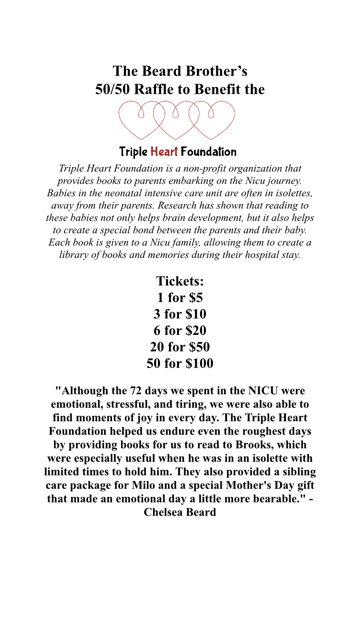 Reaching out to family, friends and the blood bank in New Berlin, they set up a blood drive for August 26, as well as a raffle to benefit the Triple Heart Foundation. The blood drive will be held at the Knights of Columbus Hall in New Berlin, located at 715 E. Illinois St. from 9 a.m – 2 p.m.
To donate, call (217) 241-7550, or visit www.bloodcenterIMPACT.org, using sponsor code 60033. Note: you are eligible to donate if you are in good health, 17 years old (or 16 years old with parental consent form), you weigh at least 110 pounds, and you have not donated any blood in the last 56 days (or in the last 112 days if your last donation was a double-red cell donation).